Nemesis is the first portable Gradius game, and the only one to use the original European name of the series worldwide. The game is a weird combination of elements from both Gradius and Gradius II: Gofer no Yabou. 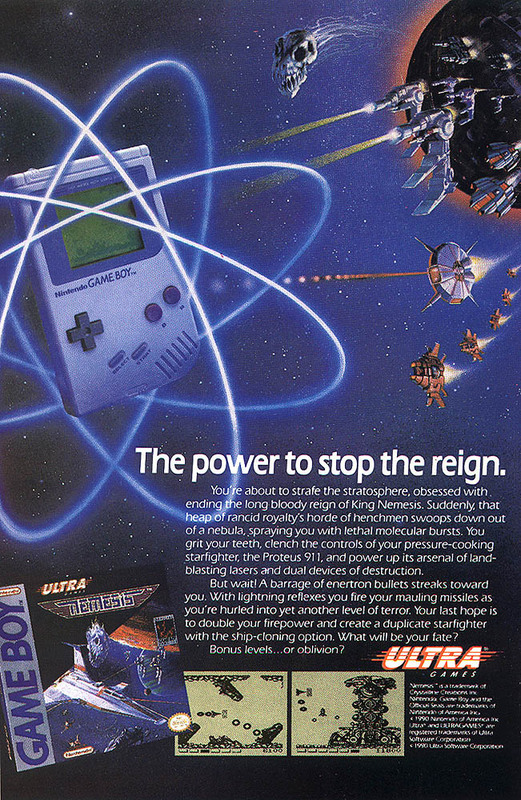 Like many of Konami’s early Game Boy efforts, a colour version was released as part of the Konami GB Collection series.